momstown Winnipeg: Are You A Horse? November at momstown was the Wild West. I brought out my plaid shirts and did a lot of yee ha's! My daughter is now a pro at galloping like a horse too. 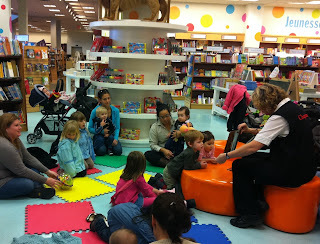 At our Kids Book Club at Chapters Polo we read Are You a Horse? 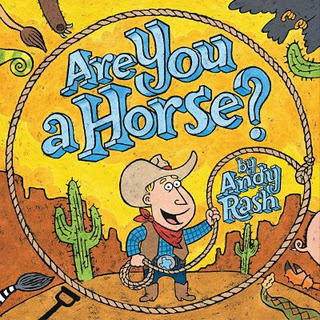 by Andy Rash courtesy of our partners Scholastic Canada. Are You A Horse? is about a cowboy named Roy who got a saddle for his birthday. But he has no horse. So he's on the hunt to find a horse so he can enjoy the ride! It was a funny book with a great twist at the end. After we read our book, we had craft time of course! 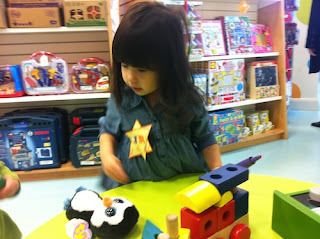 The kids gathered around and made sheriff badges. 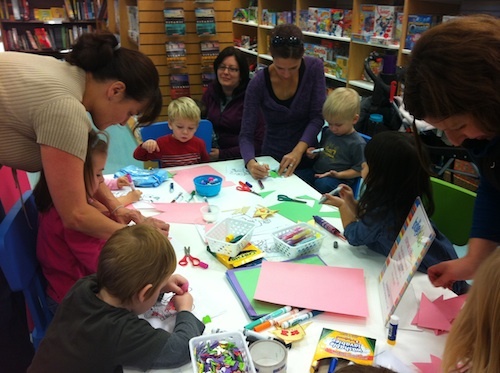 A simply craft for all age groups. And what's a visit to Chapter's without some playtime! Somebody might be getting that penguin for Christmas!!! Join us in December as we read Porcupine in a Pine Tree written by Helene Becker.